One of the deliverables of the INSART project is the creation of a manual for trainers, artists and educators. The manual will contain all information and practical worksheets on all artistic activities carried out within the projects. Here is the executive summary of the manual in English. The manual will soon be available in four languages (French, English, Italian and German) and will be downloadable free of charge from this website. Stay tuned! On Friday 8th April, as part of the LLP Grundtvig-funded project INSART, CESIE delivered a one-day training event titled “Dancing for Interculturality” in Palermo addressed to educators, youth workers, artists and people who involve dance in their work and operate in the intercultural field. In Palermo, 14 participants learnt specific movement techniques that they can use in their work with young people particularly to overcome cultural discrimination and support young people to develop new competences and confidence through intercultural and artistic expression. 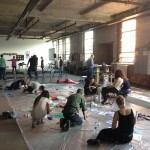 The activities carried out were based on different artistic mediation methodologies which have been tested and promoted by the partnership of the INSART project, in particular the “real Trajet / Trajet dreamed” (“real path / imaginary path”) developed by Werner Moron and Les Paracommand’arts. This included experience sharing based on movement and non-verbal language, connecting experience to the exploration of art mediation and interculturality and final performances based on movement and what they had learnt during the day. The training was led by dancer and trainer Soad Ibrahim who had also participated in the residential artistic training for trainers in Lièges (Belgium) and who led the INSART socio-artistic workshops in Palermo for 17 young people from Italian and migrant communities in 2014. 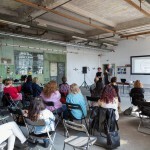 During March and April, local trainings targeting trainers and educators have taken place across the four partner countries in Germany, France, UK and Italy based on the topic of art as a mediation tool in the intercultural fields and to support the inclusion of disadvantaged young people. 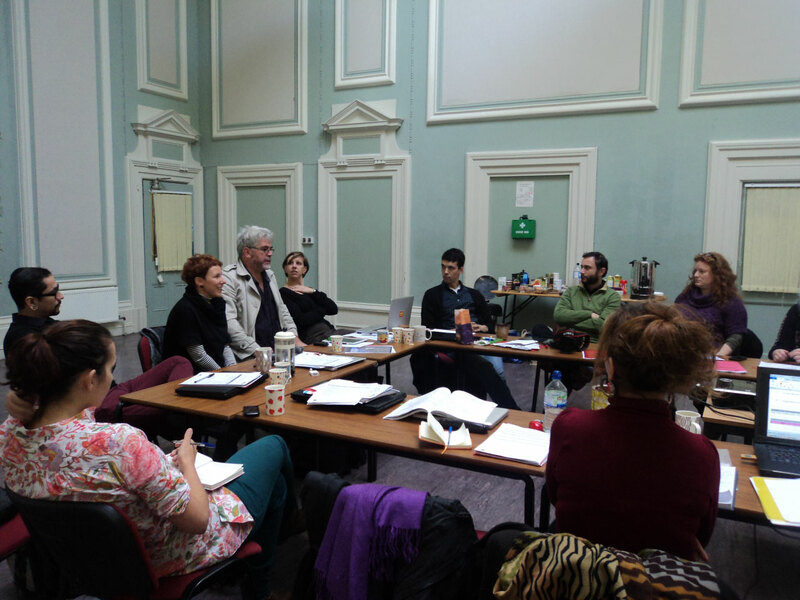 Partners have investigated and explored different artistic methodologies based on their own expertise and good practices for example, Merseyside Expanding Horizons (UK) dealt with visual arts, BERLINK (Germany) with photography, ELAN (France) with theatre and CESIE (Italy) with dance. 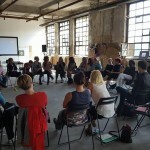 The consortium is now planning and preparing a five-day international training and final event that will take place in Berlin on 9th – 13th May 2016 to provide further opportunity for trainers and educators across Europe to learn the artistic mediation methodologies which have been tested and promoted during the INSART project. The final event will also bring together trainers and other stakeholders involved in adult education to show the results of the artistic works produced by the young participants and trainers. For further information about INSART please visit the project website www.insart.eu/en or contact rosina.ndukwe@cesie.org.